Stitching is an art by craft which needs a great deal of proficiency and rightful skills to convert a mere piece of fabrics into clothing masterpiece. Variety of styles and apparel trends are all reliant on the fineness of stitching techniques. 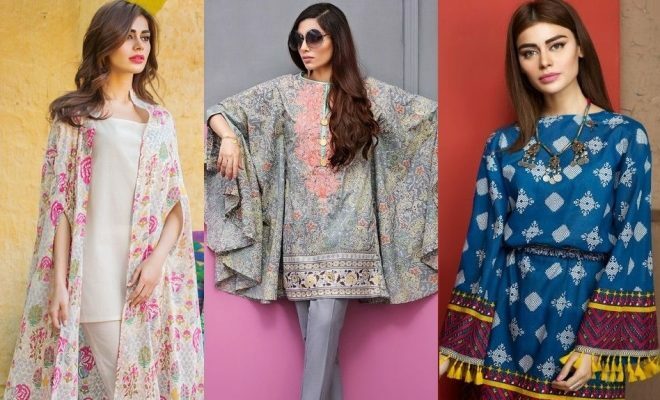 As summer is especially that time of the year when women are getting their gorgeous lawn suits all stitched up, they should get to know the latest trends for stitching styles. Which bottom can go with which style of top? What neck design will suit the curves of your shirt and what varieties you can use in accordance to your choices and comfort? Even a beautiful dress if gets stitched in an inappropriate way, looses all its charm and charisma. Stitching went wrong can simply spoil an entire outfit’s look, leading to wastage of time and money as well. So you don’t only need to buy a perfect outfit for you but to get it stitched in the right way is very much important. Revealing the best of the stitching of the year, style glamour brings you the latest hits from all the eminent brands of the country. From boot cut pants, to the amazing bow tie trousers, variety of shirts and much more, all are here to blow your mind off. Following these designs will bring a great deal of diversity in your clothing collection. 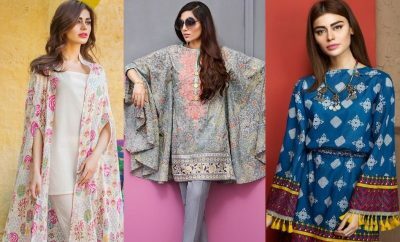 For party wear, Eid wear and casual wear these styles can be used to in different exciting colors and inspiring prints. So, are you ready to wear the perfect style followed by celebrities and set by the trend setters? Here we go with an imagery exploring all the trendy stitching styles of bottoms and tops, both for casual and formal wear. Following are the current stitching styles followed countrywide for tops and shirts. Be it a casual, formal or a semi-formal shirt, these styles will fit all the categories equally. Let’s take a look. This particular style is the hit of the season. Girls in shoulder cut sleeves are seen everywhere these days. 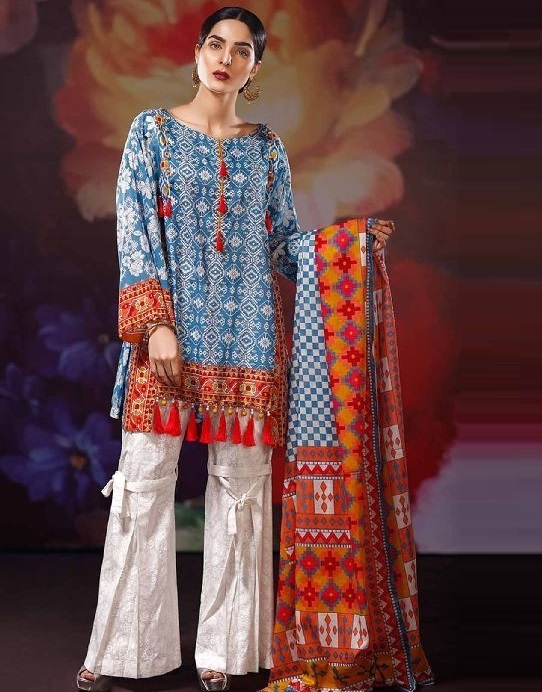 Amazingly you can create this style any material, be it lawn, chiffon, cotton or georgette. It looks trendy in all. The more your shirt has loose cuts and stitches, the more these sleeves give you the best outlook. The new love of the season, peplum is indeed such a charming style of stitching a top or shirt. It gives your shirt a smart volume and neat finish. These tops has taken the place of frocks and now deeply penetrated in our hearts. For an amazing smart, cool and elegant outlook, wrap style tops are the best. 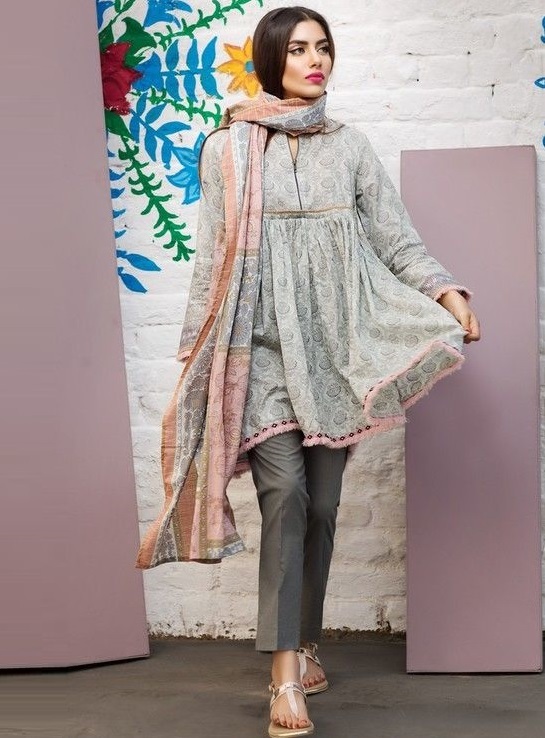 These are designed either in nicely printed smoz silk or delicate organza, to give the shirt a nice wrap using a belt of any sort. Most designers are opting for this style due to its glamorous outlook. 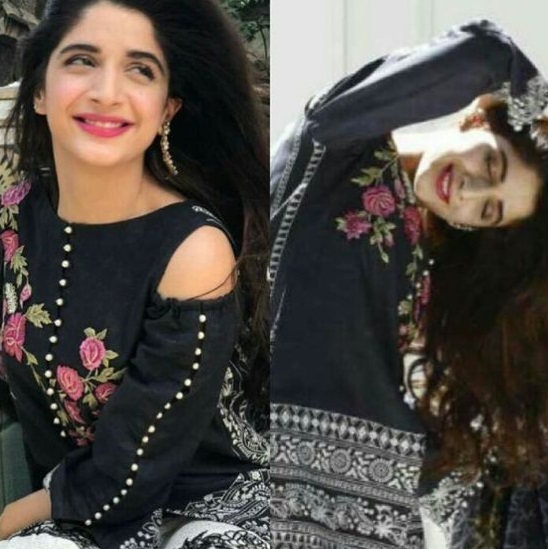 We all are well familiar with the famous angarkha style, which is the emblem of our traditional ethnicity, but now this style is beautifully transformed into short length trendy tops or medium length pretty shirts to give a perfect apparel. Another style which is rising these days is the off shoulder tops or shirts. These shirts are often crafted with visible frills in broad layers. 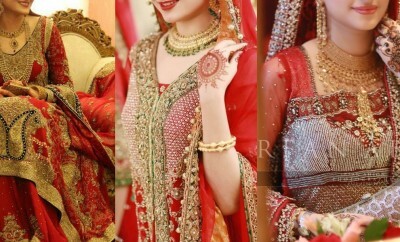 We all have an ultimate love for this particular style as it caters to our desire of looking classy and regal. From silk to georgette you can pick any material to style it up; it’s voluminous yet drapes beautifully to complement your smart curves. Here are some amazing styles for bottoms which would be seen this year in designer galleries, brands’ collections and of course the celebrity wardrobs. Follow these classy styles and get a perfect and chic bottom stitched to be paired up with your stylish shirts and tops to give them a complete look. This is the trendiest fashion in town. 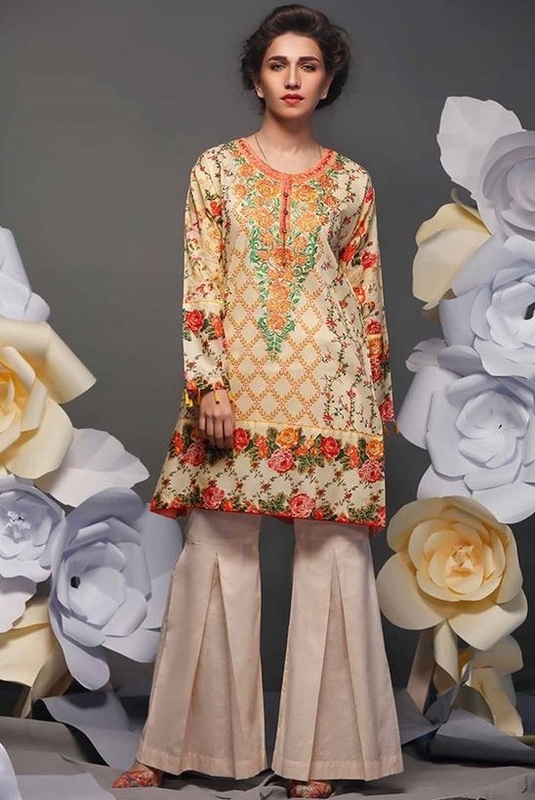 After years, boot cut pants has emerged on the fashion horizon of Pakistan. Their smart curves and crisp outlook make them perfect for almost every casual wear. Boot cuts in white are getting immensely popular these days. Bow tie is perhaps the funkiest stitching style of a bottom. It has a flawless modern outlook and fits to your summer look. You can carry it with medium to waist tops. Bow tie capris are another choice to add this cut to your wardrobe. Exceedingly in use today, no clothing collection is complete without use of bell bottom in the dress. Be it casual wear or formal pret collection, bell bottom with short tops, peplum, frocks, and looks amazingly stunning. A big boost voluminous style, sharara pants gives you the most ethnic and traditional outlook with the slight mix of modern touch. These pants are immensely styled with loose baggy kurta shirts or smart fit knee length shirts. Though it has been a while since tulip pants got into trend, yet still these are greatly loved for their sheer elegance and floral cut. 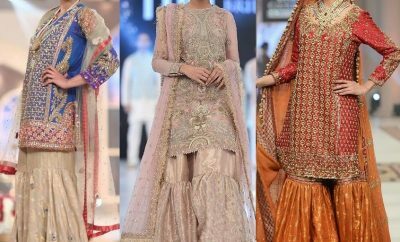 With the launch of every classic couture, we get numerous new ideas regarding the ongoing fashion trends and stitching styles. 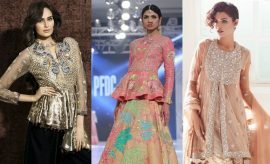 Here is a sneak peak of the amazing dress designs crafted under the label of eminent fashion brands in Pakistan. Which of these designs and stitching styles did you like the most this year? 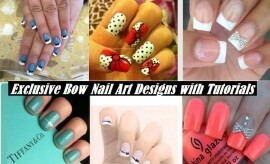 Do share your views about these fantabulous styles in the comment section below. We are looking forward to your feedback so we may bring more interesting stuff for you. 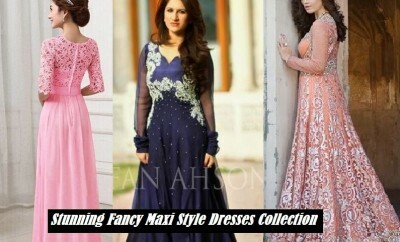 Keep visiting our Trends Alert Gallery for latest styles and designs of dresses and fashion updates.